English poet and playwright, Robert Browing, had once famously written in his work The Inn Album, ‘Motherhood: All love begins and ends there.’ No truer words have been spoken and I understood this when I became an aunt last month. There’s no doubt about it, I’m in love and have been doting on my nephew from the time the nurses placed him in my arms. After holding him for the first time, there’s just one thing that came to my mind—this beautiful and innocent little baby was now completely dependent on his parents and family. That’s when I realised that no amounts of books can fully prepare you for what’s in store. The experience is absolutely blissful, and I believe that it’s definitely a blessing to be able to care for a baby. This is precisely why, we at M&B make it our mission to bring you everything that can possibly help you on your journey to parenthood. From lactation queries to parenting concerns, our experts are here to answer all your questions. We even have articles busting myths, arming you with the right information you need to make informed choices when it comes to a healthy pregnancy and baby. I’d like to leave you with words from Kate Winslet: “Having children just puts the whole world into perspective. Everything else just disappears.” In our November issue, we’ve tried our best to put things into perspective for you, and in our own little way, help ease your worries and doubts. I do hope you enjoy this issue. Welcome to our September issue. It was exactly a year ago that I took over from Swati as Executive Editor. And what a journey it has been. 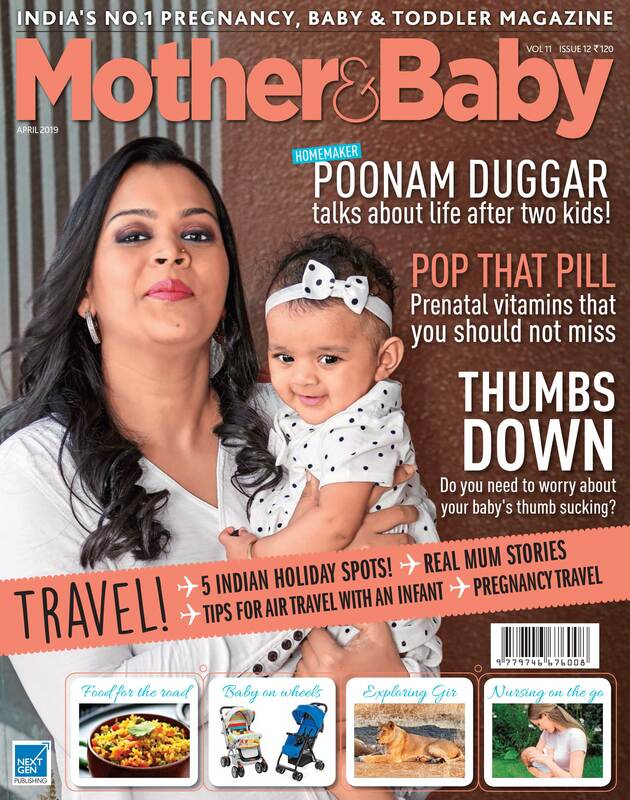 We’ve completed nine whole years of being India’s No.1 pregnancy, baby and toddler magazine, and I’d like to believe that you, our dear readers, would agree with that statement. We at M&B do our best to make sure we bring you the latest in pregnancy care and child care, and in our own small way, try to ease some of those nagging doubts. 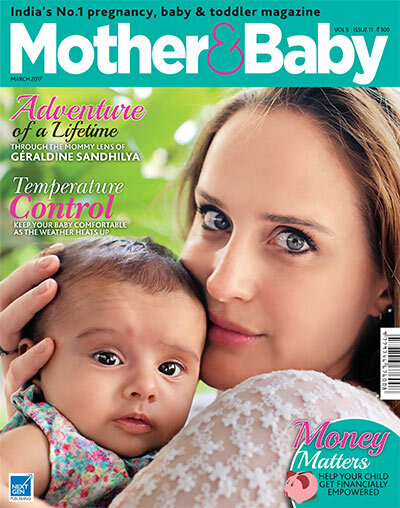 Last September, we had a single mother grace our cover. 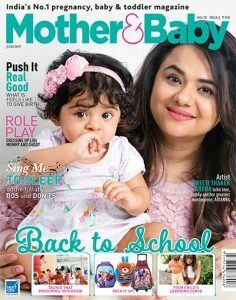 This year, we bring you a mompreneur that’s definitely going to leave her children with a legacy to care for. 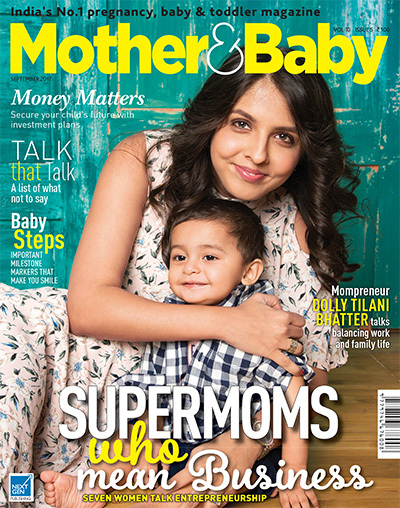 Our September issue honours working mothers, and reiterates the fact that women most definitely can rule the world; they just have to put their minds to it. Our Cover Plus is no different. 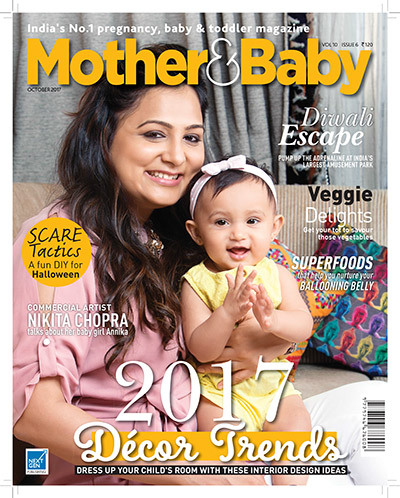 We bring you seven young mothers, as they share their journey, but more importantly, their vision for establishing themselves in the male-dominated world of business. These women sure are a force to be reckoned with, and we do hope they help inspire you to pursue your own dreams. And as always, we do have the latest products that can make your shopping lists, and activities and what to look forward to in and around the city. And on that note, I do hope you enjoy this edition of M&B. The monsoons have finally arrived in Mumbai; these are showers of blessings, indeed! And while we’re sure your little ones are thoroughly enjoying splashing about in the puddles, there’s a lot you need to be vary of. The monsoons bring with it a certain freshness, but there’s a whole lot of germs and diseases that run rampant during this season. This is why, we’re making you aware of dangers lurking in those murky waters, and how you can ensure you and your child stay healthy this season. If that’s not all, the monsoons also play havoc on one’s hair and skin. Add to that pregnancy hormones and you are definitely dealing with a few more issues. 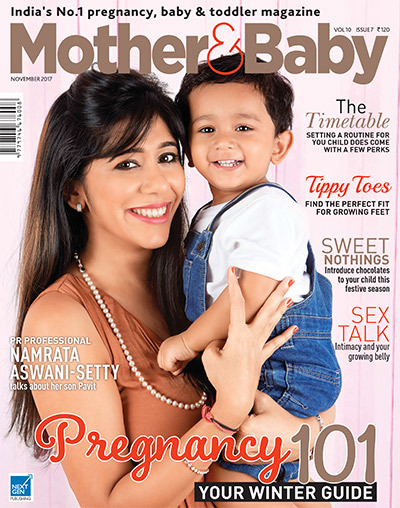 Our article on ways to enhance your pregnancy glow is a must-read for all expectant mums. Speaking of expectant mums, we’re sure you’re being constantly showered with love and attention, and what better way to celebrate the arrival of your bundle of joy than a baby shower? Our Cover Plus on the trending themes for your shindig, is just what you need. Of course, it didn’t end there. She went on about how difficult she found it when it came to getting her daughter to open up at the school interview, or when it came to shopping for everything she needed for her school year. It was a nightmare. This discussion got me thinking. Often, simple things that aren’t really issues, do end up being the biggest reasons for stress. This is why, our June issue is the ‘Back to School’ edition. From must-have school bags, identifying your child’s learning styles to give her the right start, to helping her crack that school interview, we have something that we think you need. Perhaps, this is our own little way of trying to ease your worries. We do hope our June issue makes for an interesting read. Till next time! As we usher in a new season filled with the warm and vibrant colours of Spring, I can’t help but feel a certain cheerfulness all around me. But, this got me thinking—time’s flying by way too fast, and I do need to stop and smell the roses. And that pun was most certainly intended! But what does that mean? For me, it’s about spending quality time with my loved ones. After all, we’re already in the month of March and I can’t help but wonder where the time seems to be going! Speaking of time, I cannot imagine how parents must feel, watching their beautiful babies grow up, a little too quickly, I might add. Which is why, I believe the best thing you can do for your kids is spend as much time with them as possible, even if it is to play a game or teach them a life skill or two. Our DIY on making a spring-inspired board game (Pg 38) and our article that demonstrates the importance of saving money (Pg 68), are rather interesting. So do check them out. With the climate warming up, change is in order, especially when it comes to helping your bundle of joy adapt to the weather. 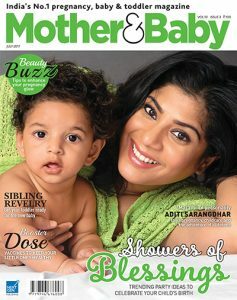 Our article on getting your baby summer ready (Pg 82), will tell you everything you need to know. Alternatively, if you’re expecting, it also means paying attention to your diet and nutrition. Our Cover Plus gives you some restaurant-quality dishes you can try at home (Pg 44). Finally, if you’re looking to start a family, but have exhausted your means to have a biological child, adoption is an option. We bring you everything you need to know on this subject (Pg 26). 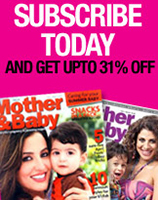 We hope you enjoy or March special. I’ll see you next month! Cheers!